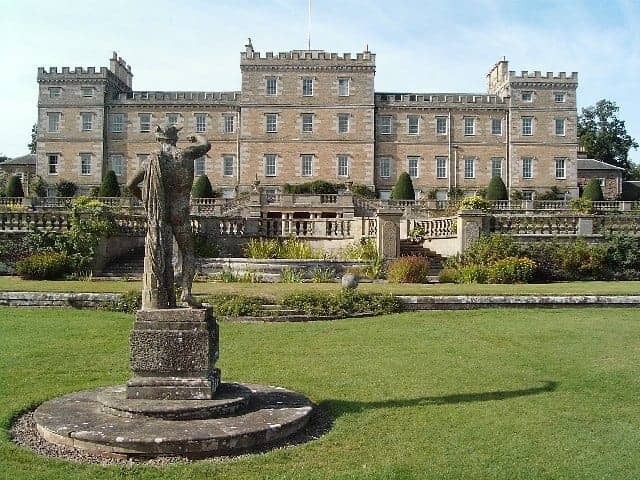 One of Scotland's finest stately homes near Kelso in the Scottish Borders, this outstanding Georgian mansion house set in acres of idyllic parkland is a unique example of Adam design. A feat of architectural genius, the House was built in two stages starting with the two wings in 1725 by architect William Adam and then the large central block by his more famous son, Robert. The interior is a fine example of delicate plasterwork. Visitors can also see original handprinted wallpapers in the bedrooms, fine art including Gainsborough and Van Dyck, period furniture, china and embroidery.